A cunning disguise. Some stinky seaweed. And a dastardly villain on the loose. It’s another case for Wilma Tenderfoot! Wilma Tenderfoot, the feisty and determined assistant to the greatest living detective, Theodore P. Goodman, is faced with a peculiar and pongy case to crack. Cooper Island’s vaudeville theatre has become centre stage for a murderous menace, as one by one the actors are fatally poisoned. 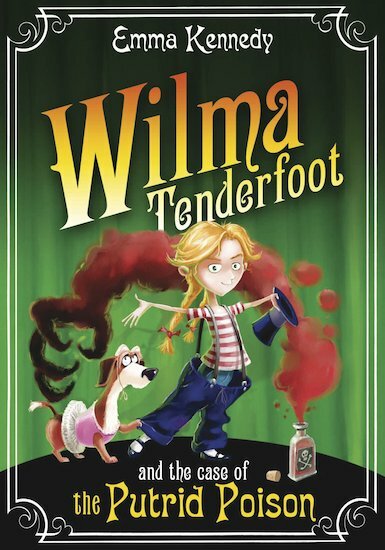 Can Wilma, along with her faithful hound and dazzling dancing partner, Pickle, discover the fiend’s identity… before the final curtain falls on Wilma herself?